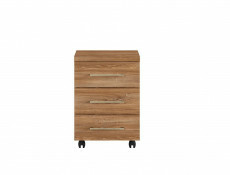 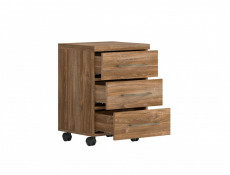 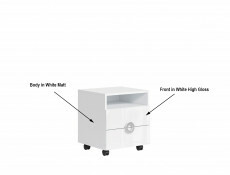 - 3 Soft Close Drawers provide great for storage in the office, bedroom or living room. 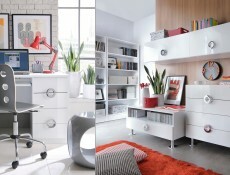 - Innovative design is characterised by simple geometric forms, indicative of the modern style. 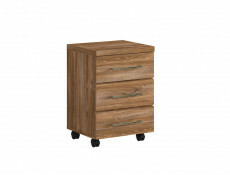 - Stable top can be used any way you want to. 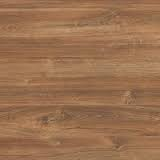 Laminate used to cover its surface creates an invisible protective layer, that increases resistance to scratches and mechanical damage resulting from everyday use. 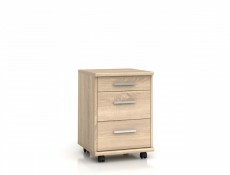 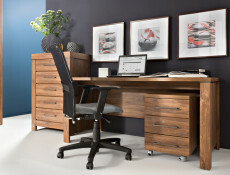 - It is available in warm Stirling Oak with clearly visible wood grain finish. 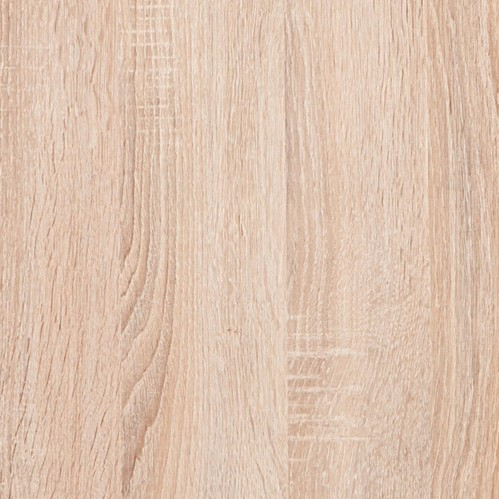 This universal colour will create great background for decorations and accessories in many shades. 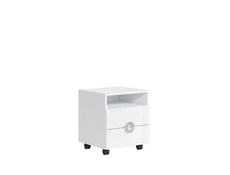 Modern, mobile White Gloss pedestal featuring two drawers and open top shelf from Ringo furniture range manufactured by Black Red White. 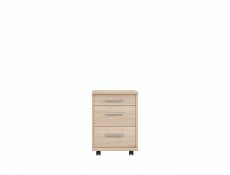 This contemporary drawer unit has white high gloss fronts and white matt body. 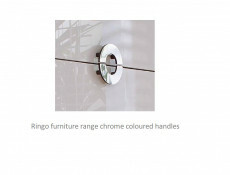 Circular silver handles and swivel legs add ultra-contemporary touch.